End of 2017 Season newsletter. 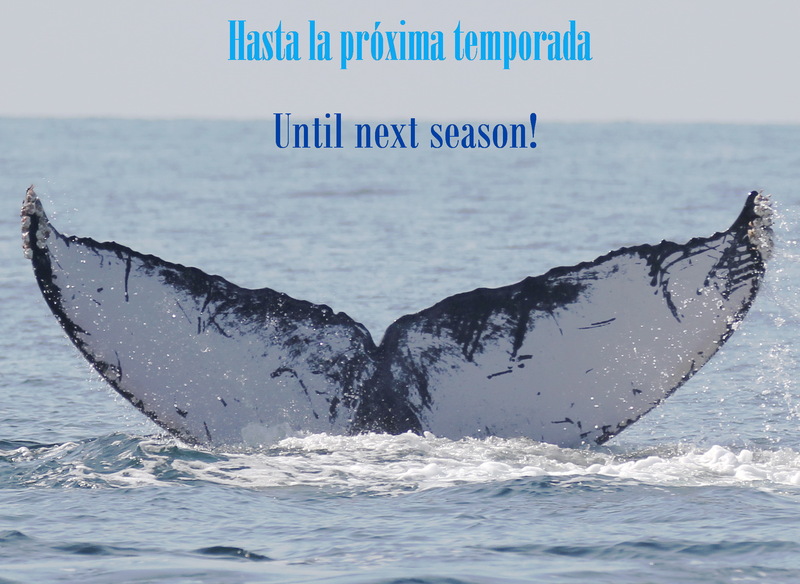 The whales are gone, whale watching season is officially over since last March 23rd, as always whales kept us very busy and now that they left, we still have lots of work to do. This season we were pleasantly surprised by having the first registry of Sperm Whales inside the bay (Physeter macrocephalum). Below you will find a brief summary of our activities during the whale season, as well as the invitation to join us for the 13th International Festival of Altruism. First of all, we want to thank all who participated and supported our efforts so we can continue with our projects and implement new activities: Particularly to Opequimar Centro Marino, to the 8th. 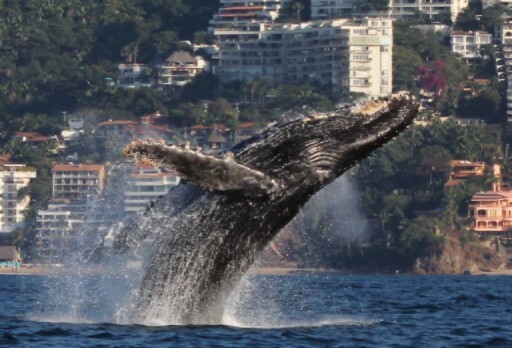 Naval Zone of Puerto Vallarta, the Foundation Punta de Mita, the Comisión Nacional de Areas Naturales Protegidas (CONANP), as well as members of the Assistance Network of Entangled Whales (RABEN) and especially to all our volunteers. Many thanks! The good news of this season was that the whales returned, again there were many whales in the Bay, which was a great surprise after the last numbers. 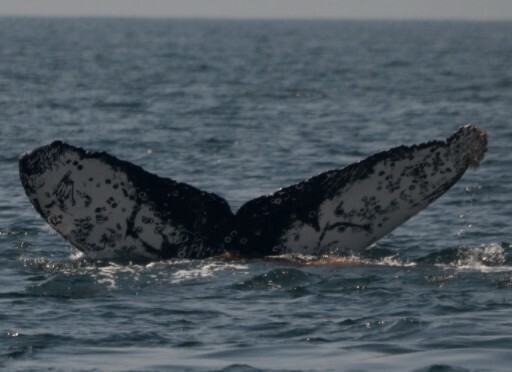 Something that made this season a unique one, was the registry of whales feeding in several parts of the bay for over 15 days. This allowed us to see whales displaying an unusual behavior in the region, such as swimming in circles, defecating, and even making bubble nets, a technique used by the humpback whales to catch their food. Remnants of the previous season. This season we also observed several whales covered with parasites, as well as some other that seemed weak or having a lower weight (skinny). 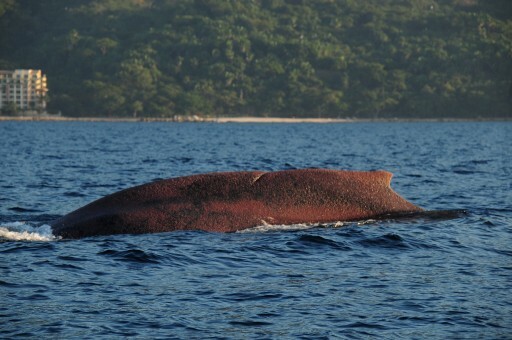 By the end of the season, we received a report of a floating dead whale covered with parasites close to the Marietas Islands National Park. The body was towed with the help of the 8th. Naval Zone outside the Bay to prevent it from beaching in in the bay. Happily this season we only had 3 reports of whales entangled. The first one was on the 20th of November. This took us by surprise, as the season has not yet started, however, the RABEN team of Bahía de Banderas acted efficiently and immediately. Due to the time of day, we could not fully release the whale, and the next day we were not able to locate it again. 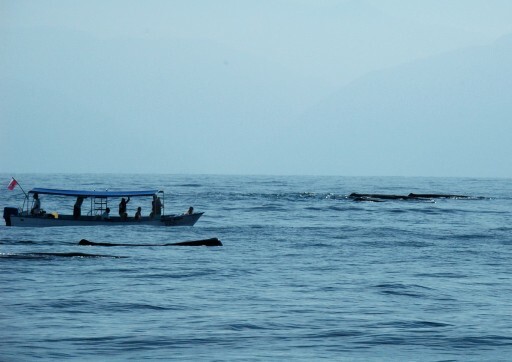 Therefore, we alerted other RABEN teams and the whale was finally freed by Mazatlan RABEN team a few days later, which demonstrates the efficiency of the national network for whale entanglements. The other two reports, both correspond to a case that could not be confirmed, as no allegedly entangled whale was found. The 3rd report was a whale with a rope which presented no life-threatening risk, so that it was not necessary to act. After 5 years of positive results of the Prevention, Information, Surveillance and Monitoring of whales in the Bay Program, the 6th season was held with the objective of preventing accidents, informing tourists and captains of vessels on the guidelines to follow for the observation of whales established in the NOM-131-SEMARNAT-2010, in addition to monitor the amount of boats with or without permission and the faults to the norm. 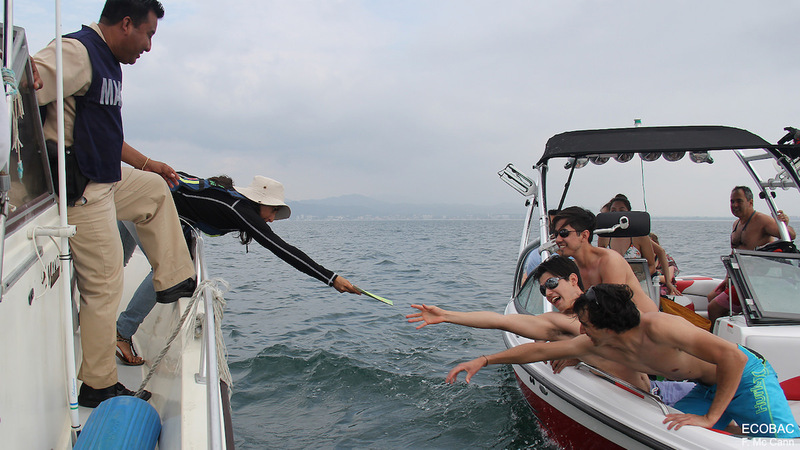 This year´s patrolling was held thanks to the sponsorship of the Punta de Mita Foundation and Opequimar Marine Center and were carried out with the support of the 8th. Naval Zone. Unfortunately this year, there was an increase in the number of vessels with respect to last year, that is to say, almost half of the boats were private or did not have authorization for the observation of whales, so that they were not aware of the guidelines and did not know how to maneuver in the presence of whales, giving us more reason to continue with this very important program. 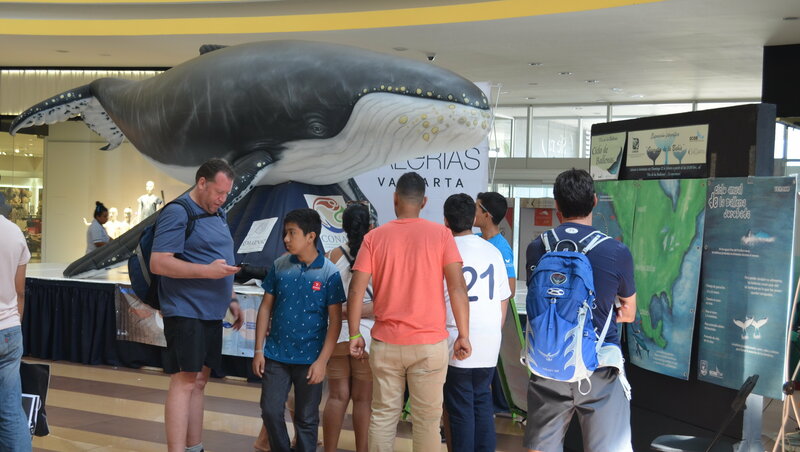 In general, the results are good, the response of the people was mostly positive and grateful for the care of the whales, especially of tourists and some private vessels. Thanks to the coordination and support of Movie Picnic, SITIsystems, CUC, and the Instituto Vallartense de Cultura de Puerto Vallarta, three film projections of the documentary Sonic Sea done. This documentary explains the impact of ocean noise on the whales. We were also able to present a video of the “Red de Asistencia a Ballenas Enmalladas (RABEN- Mexican Big Whales Disentanglement Network). Needless to say, it was a resounding success, having about 1.000 persons attending. On the 11th of February, the Comision Nacional de Áreas Naturales Protegidas ( CONANP- National Commission of Natural Protected Areas), organized the event named “Conoce tú Bahía” (get to know your bay), in La Cruz de Huanacaxtle, where different NGOs, were invited. ECOBAC was there and put up an exhibit with games, through which families were made aware of the biodiversity present in the region where we live. 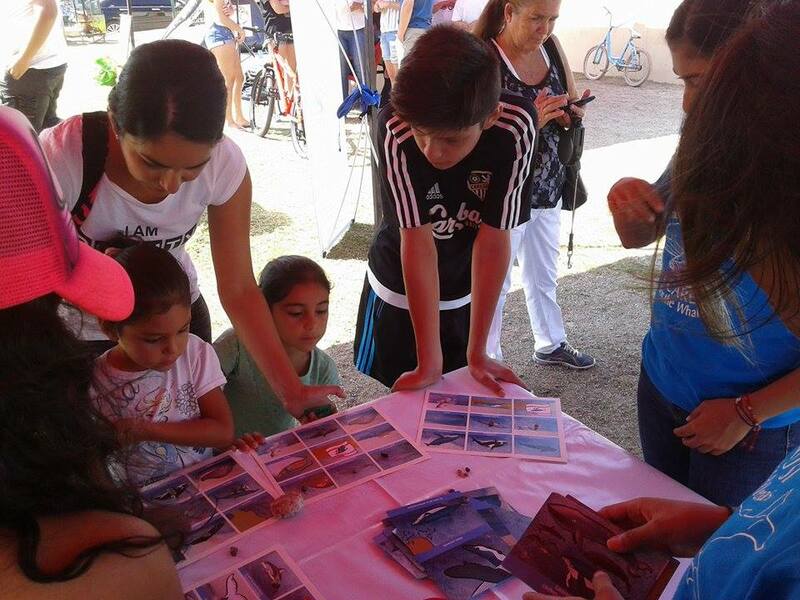 This was an event-driven mainly by “ Asociación Civil Conservación de Especies Maravillosas de Bahía de Banderas (CEMBAB- Civic Association for Conservation of Marvelous Species of Bandears Bay), which in coordination with ECOBAC staged a photographic exhibition, educational games with interactive panels, raffles and a silent auction. 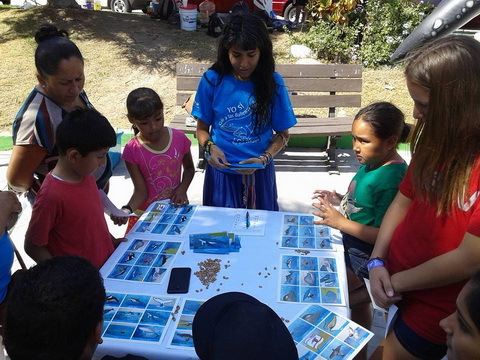 During the event, the attendees spent a fun day out while learning basic concepts of whales and environmental care. Punta de Mita Foundation organized a sports-educational fair in Punta de Mita, with the aim of raising funds for the Community Center. 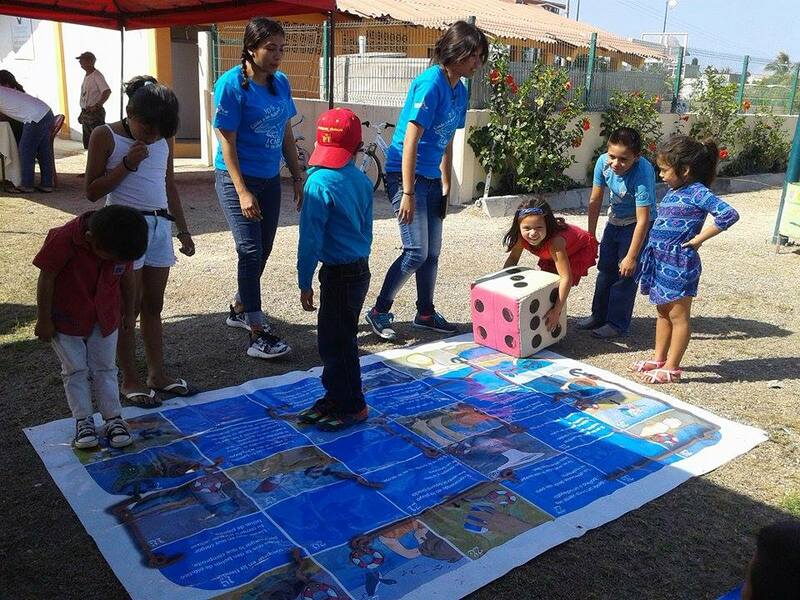 ECOBAC and other NGOs were invited to have a wider variety of games for children, those of whom learned to know and care for the environment. The International Festival of Altruism. 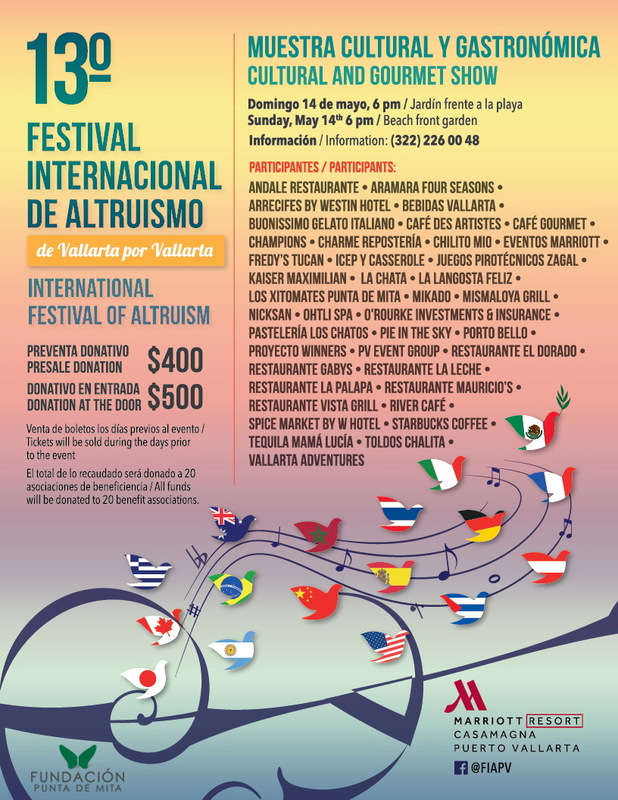 This next 14th of May, The International Festival of Altruism will be held once more in Puerto Vallarta, in which there will be nearly 30 restaurants, shows, music, art and entertainment. Are you ready to live it? With your presence, you’ll subsidize different NGOs of the area. “Ecología y Conservación de Ballenas, A.C”. (ECOBAC) will be one of the associations that will need your support. 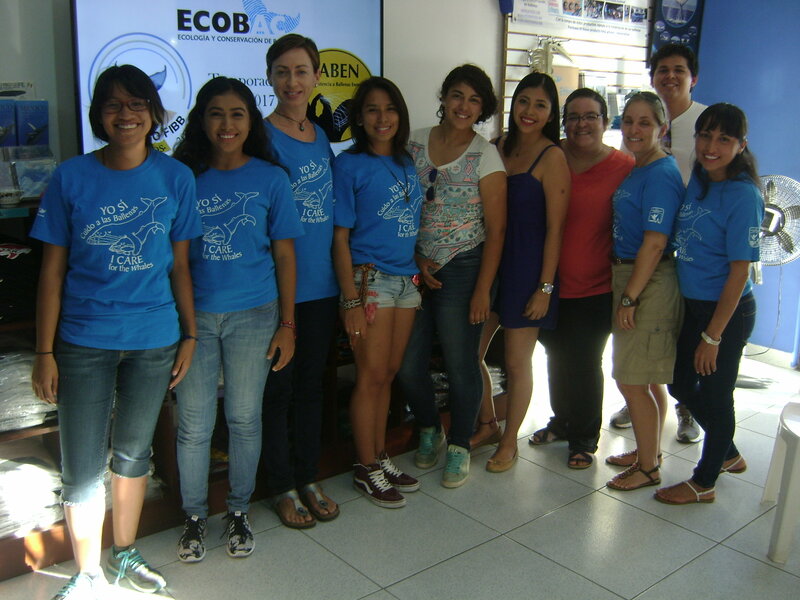 The donations will be used to continue the commendable work in our different projects: the rescue of entangled whales, conservation, environmental education, promotion of ecotourism as well as sustainable development, and research of the Humpback whales in Banderas Bay. Tickets sold at the offices of ECOBAC or Ecotours de Mexico. ECOTOURS: Proa Street S/N, Local 20. Condominiums Marina del Rey. Marina Vallarta. Next to EL Coleguita restaurant Tel. 3222226606, 3222092195. Note: We can deliver the tickets too! At ECOBAC we will continue to work in favor of the conservation of our oceans and in particular of the whales. 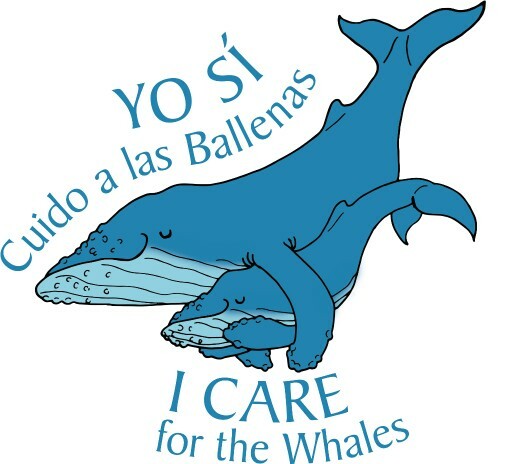 We invite you to join and be part of our team of volunteers or support us by spreading the objectives and above all to join the campaign ” I care for the whales”. NOTE: We especially thank Thalia Martinez for her support in translating this newsletter.